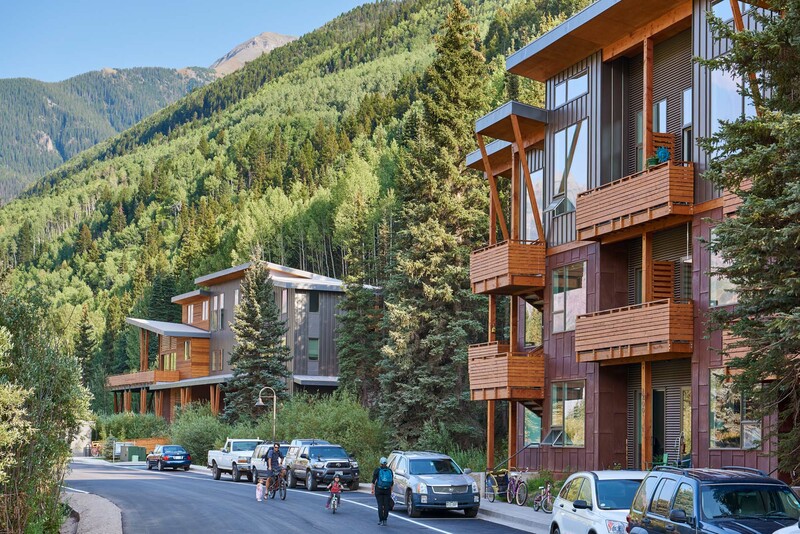 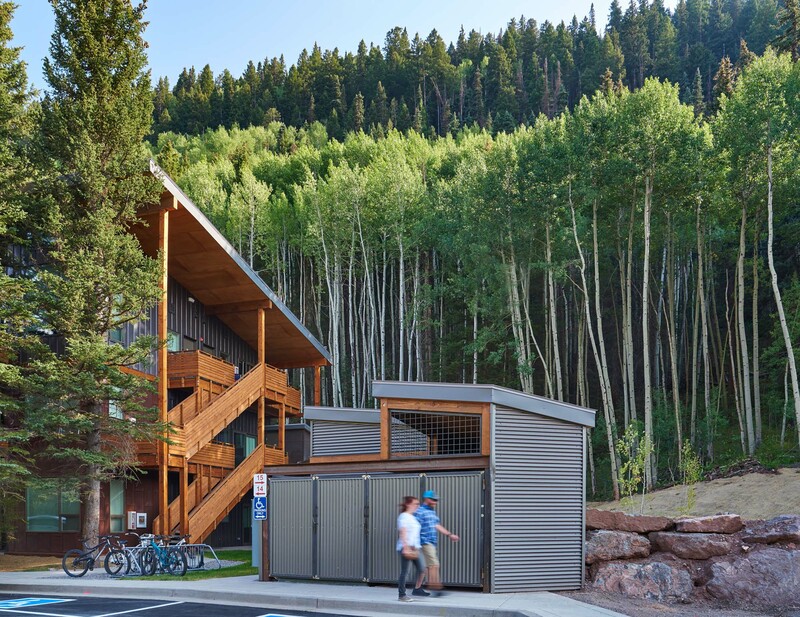 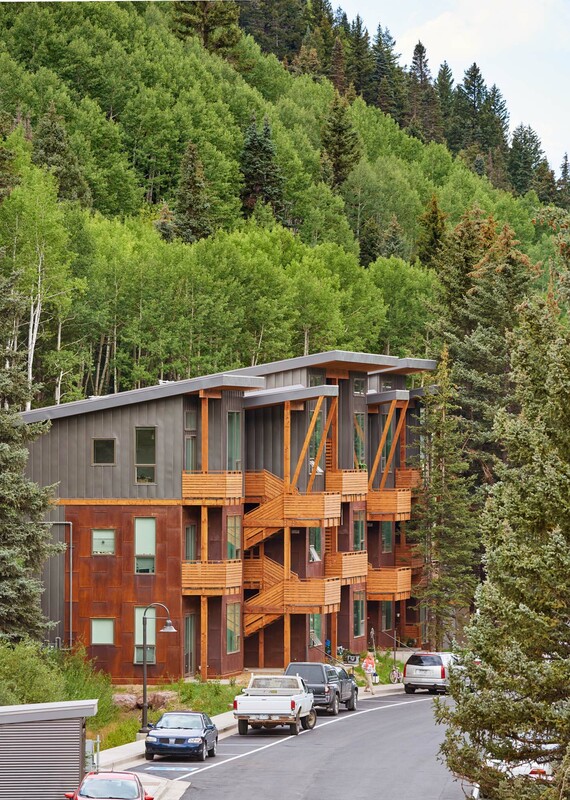 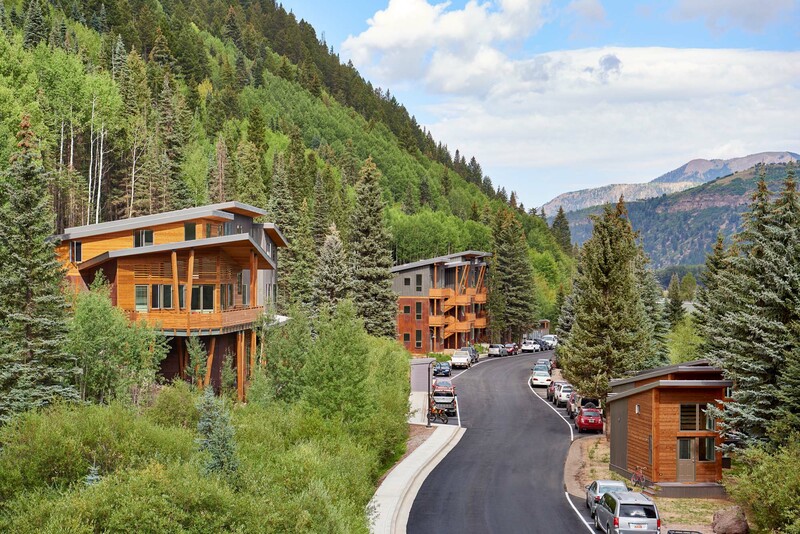 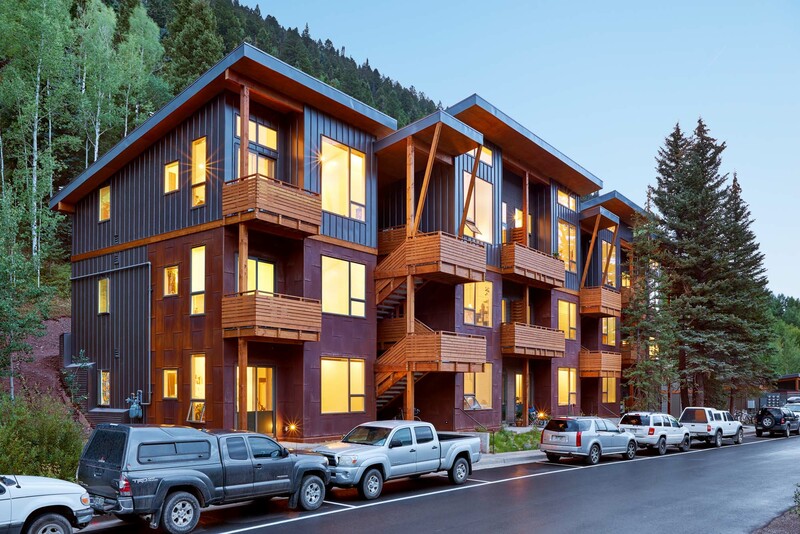 By way of Request for Proposal, CCA was selected to design this mixed-type affordable housing project on a steep and narrow lot, in Telluride, Colorado. 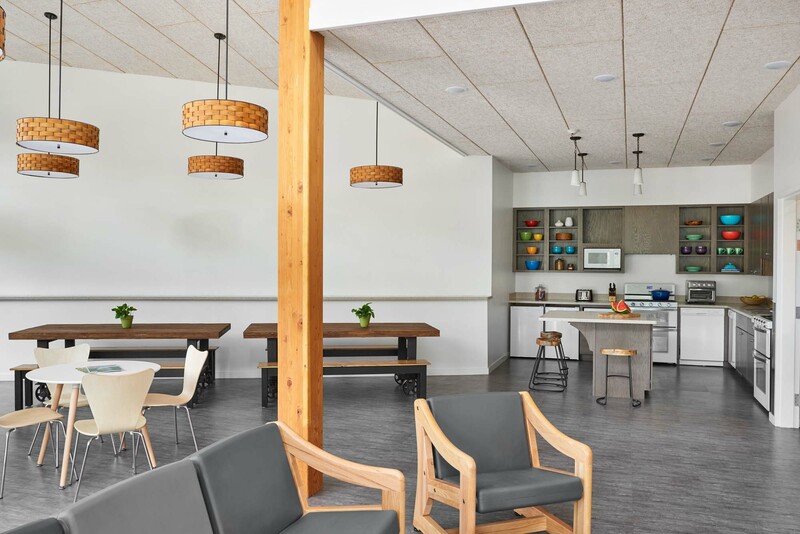 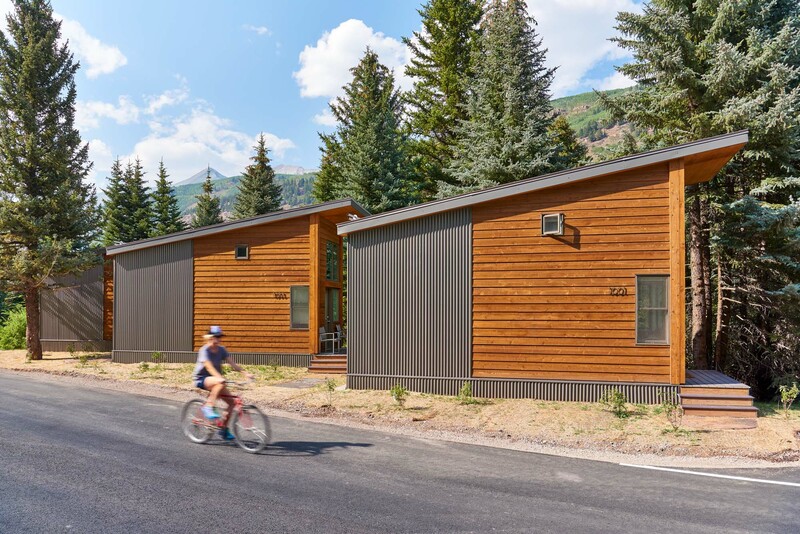 Comprised of 18 apartment units, a 46-bed Boarding House and 3 Tiny Homes, the project accommodates a mix of incomes, individuals and families. 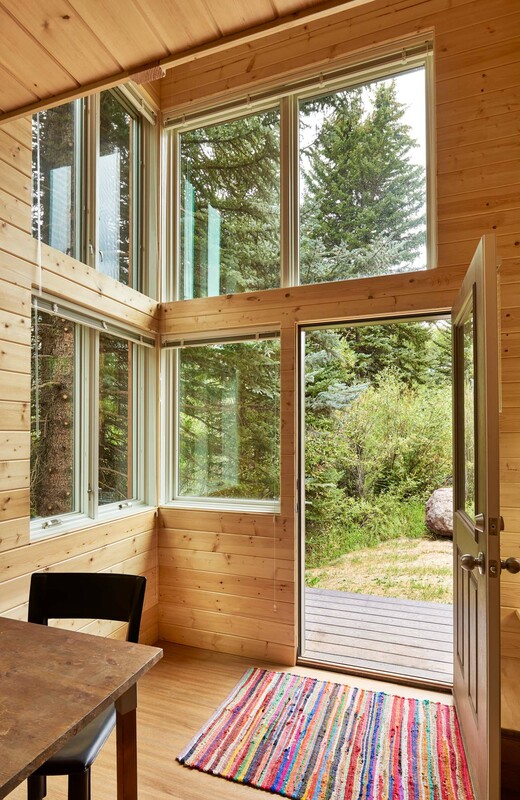 Angled roof lines and large windows capture surrounding mountain views. 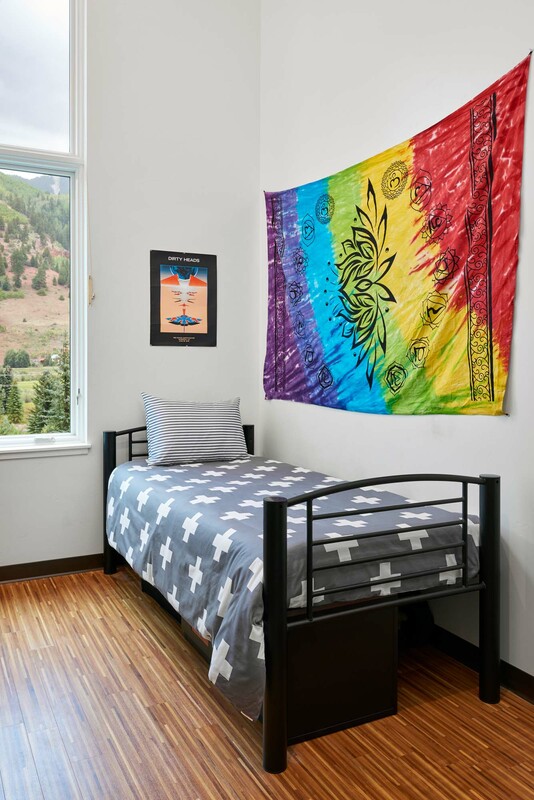 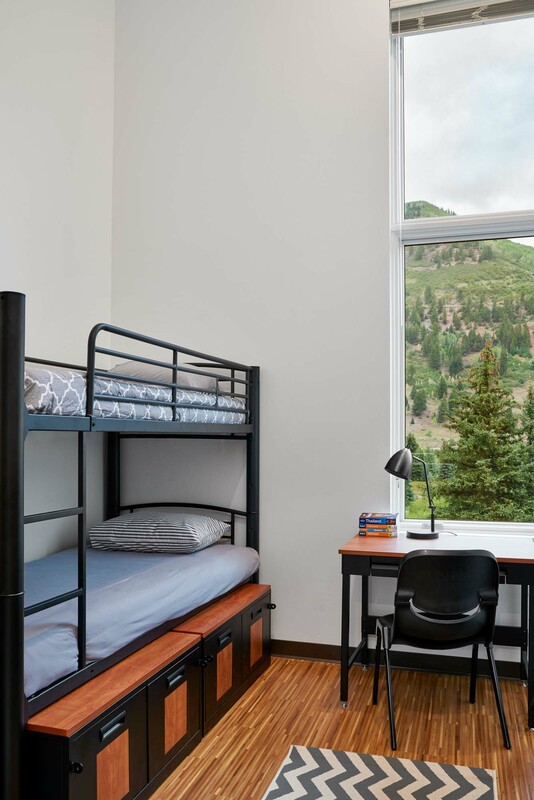 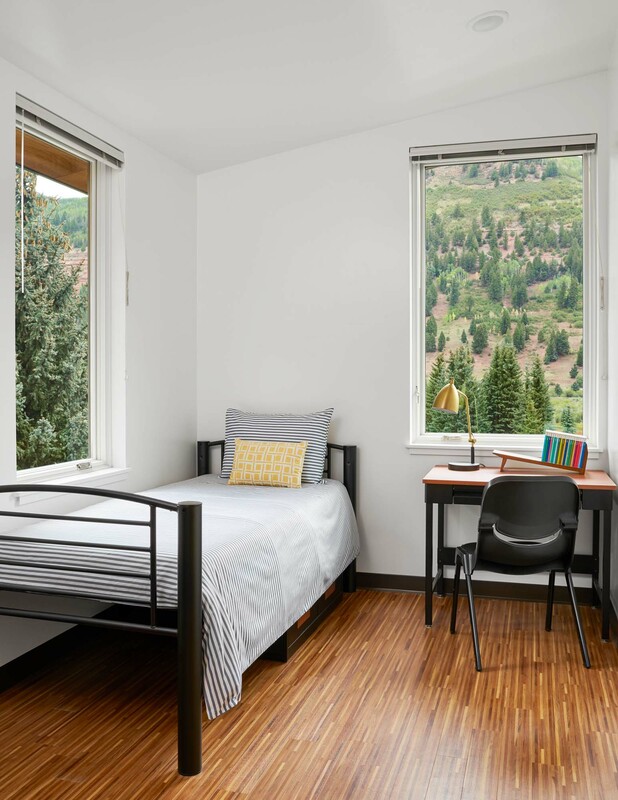 The Boarding House includes two contemporary dayrooms, with kitchens designed for multi-person use, as well as bunk rooms and single rooms with spacious baths, and ample storage for the active lifestyles of the inhabitants. 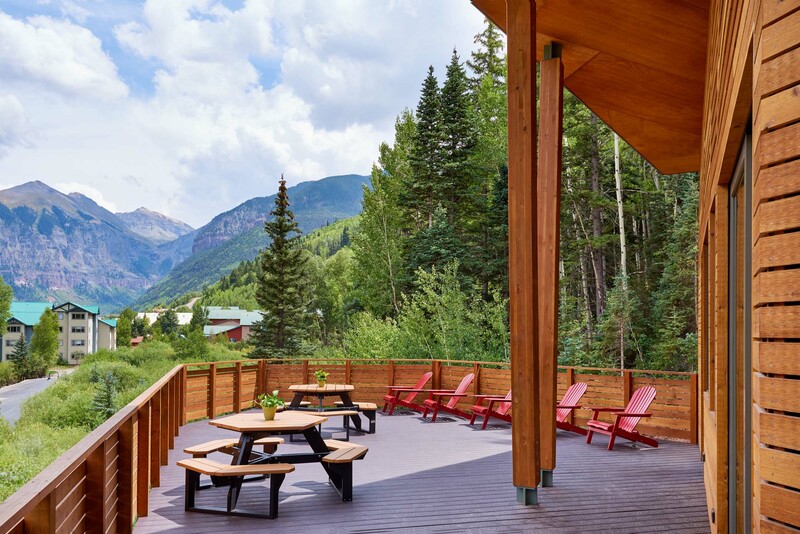 A large deck off the lounge, area provides arguably the best mountain views in Telluride. 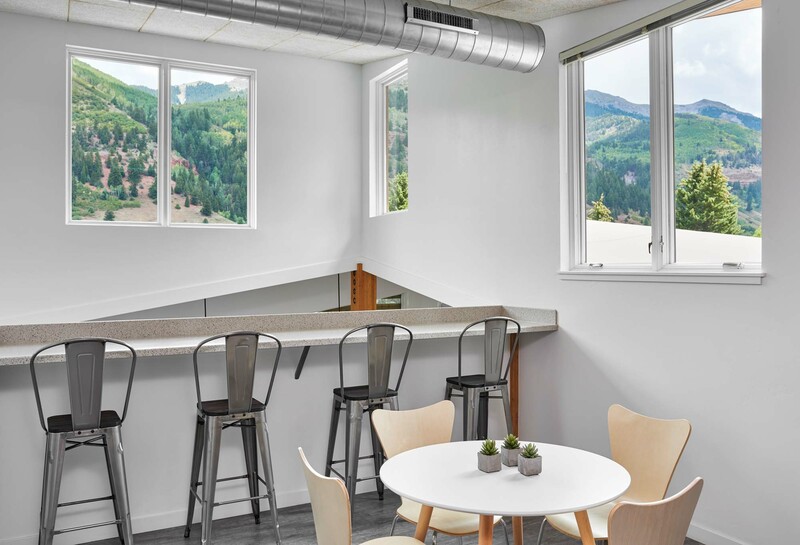 Each of the 18 apartments include oversized windows to allow passive solar and ventilation, outdoor decks and high ceilings for maximum livability. 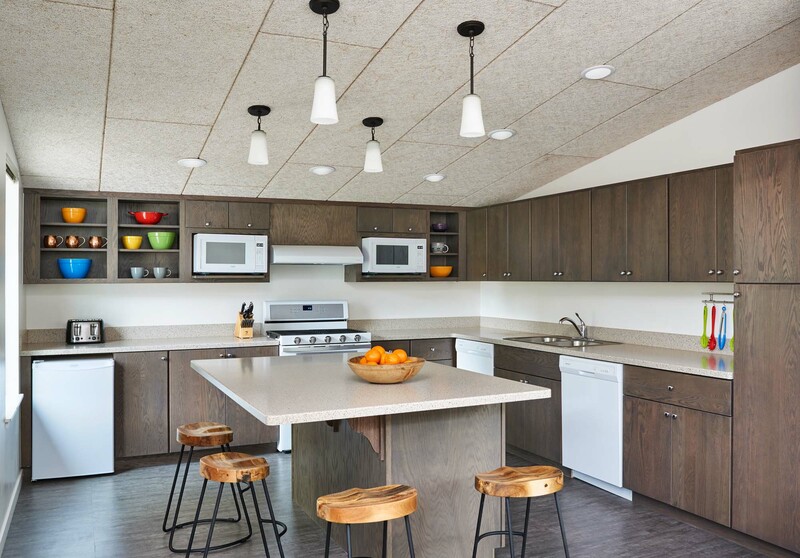 Smart design and generous storage has made these the most sought-after units in the housing program. 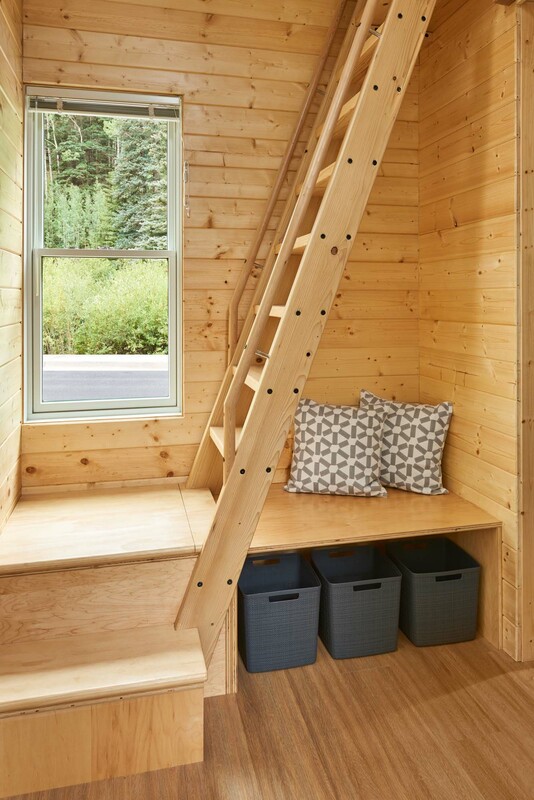 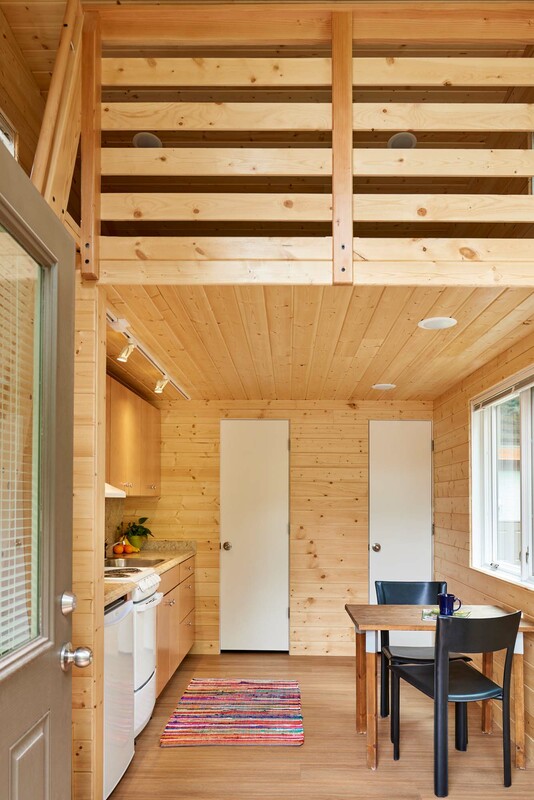 Three Tiny Homes with loft beds, high ceilings, an abundance of light and space complete the Virginia Placer neighborhood, which embodies much of the high-end design seen throughout the resort town. 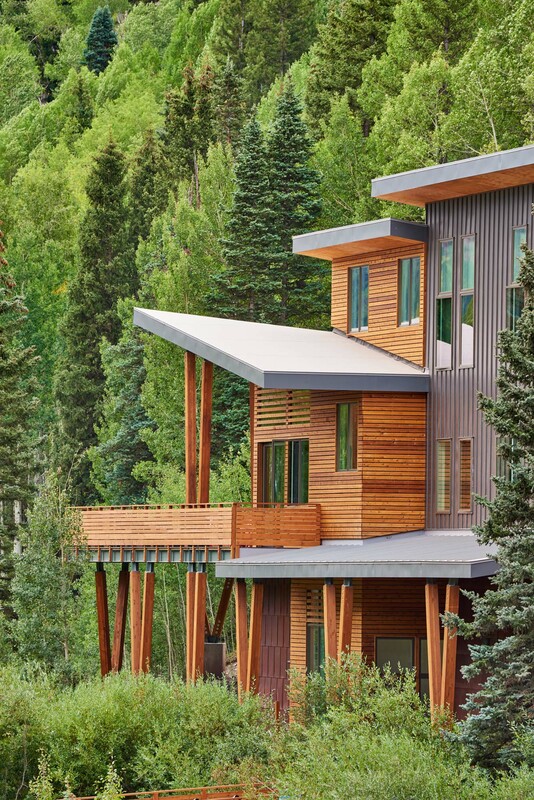 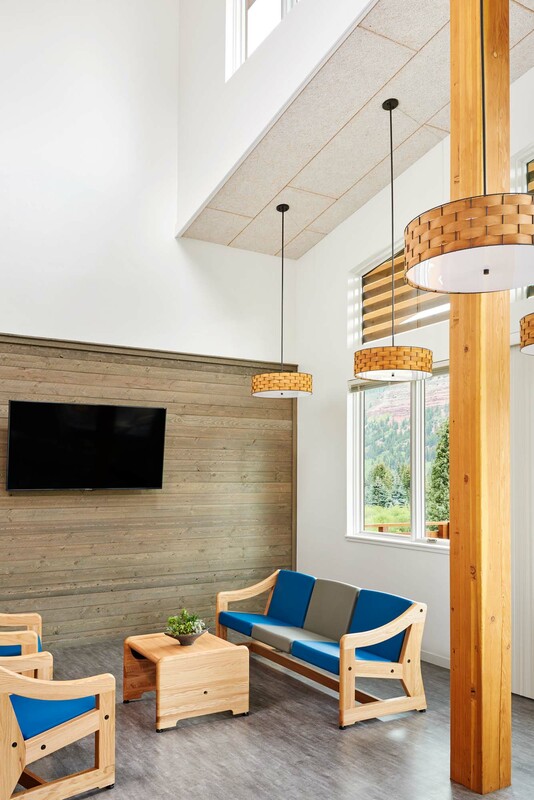 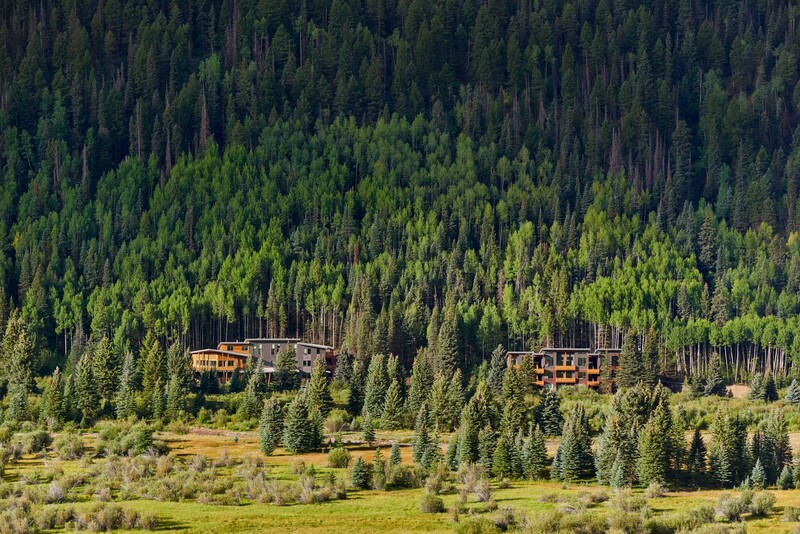 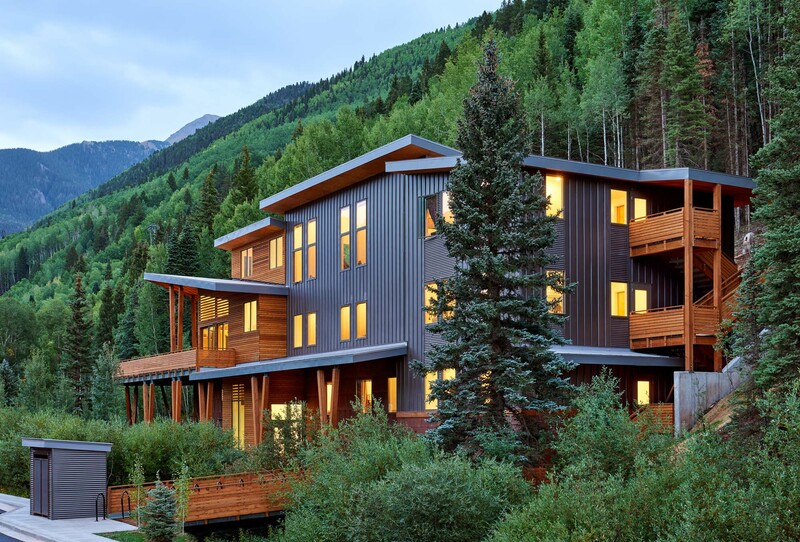 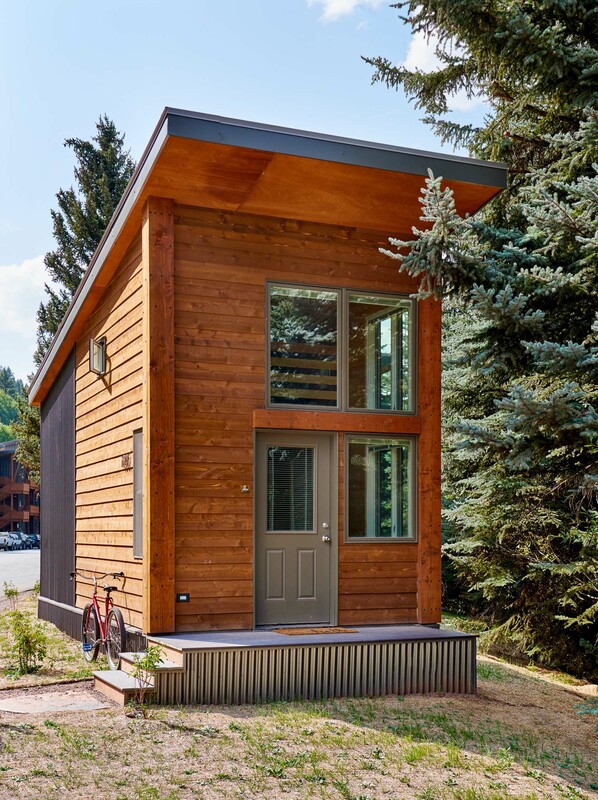 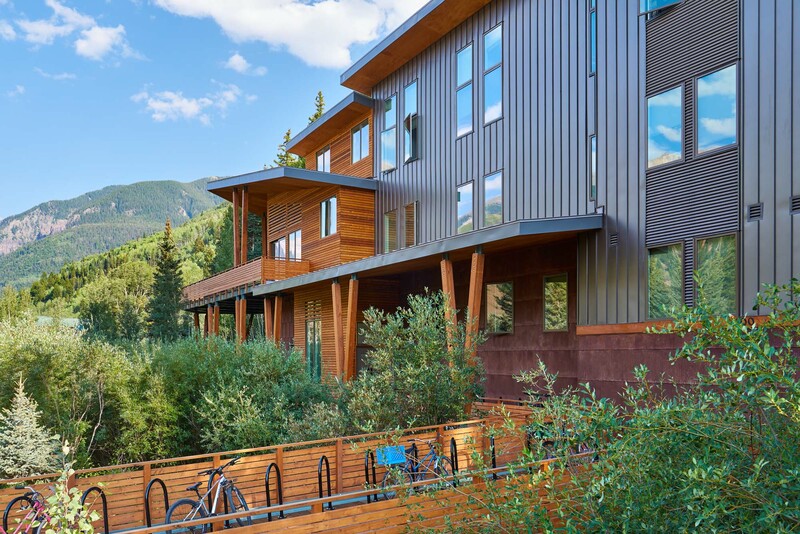 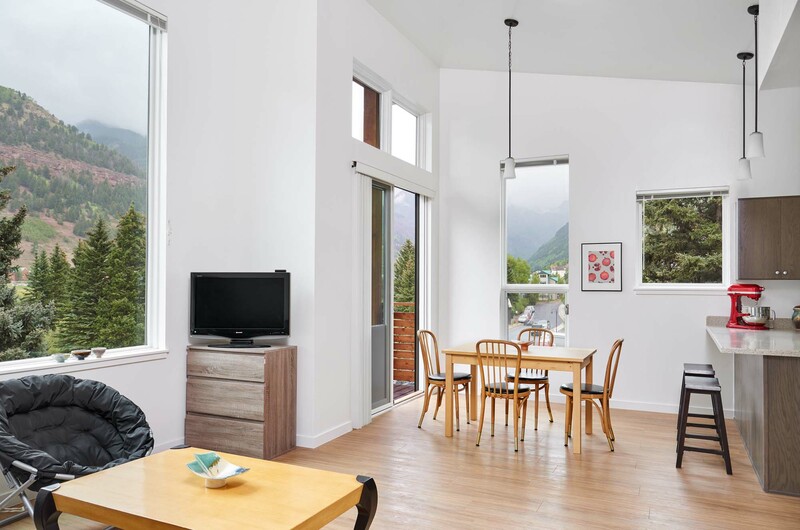 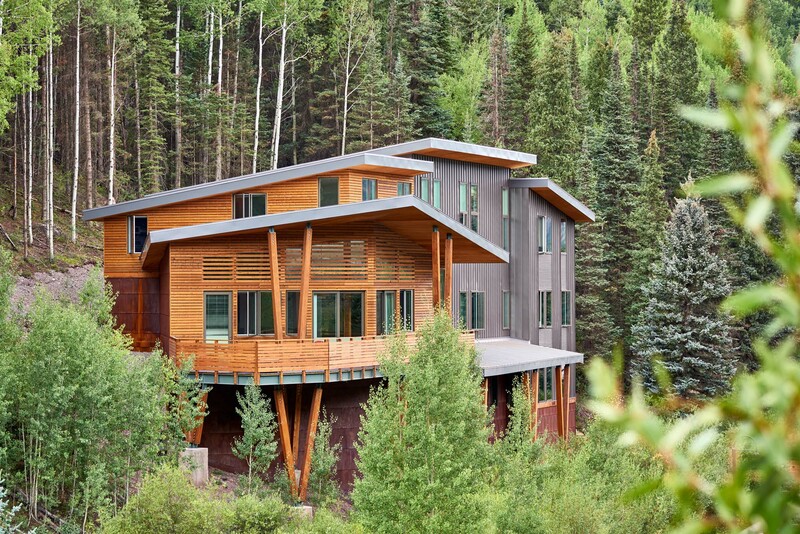 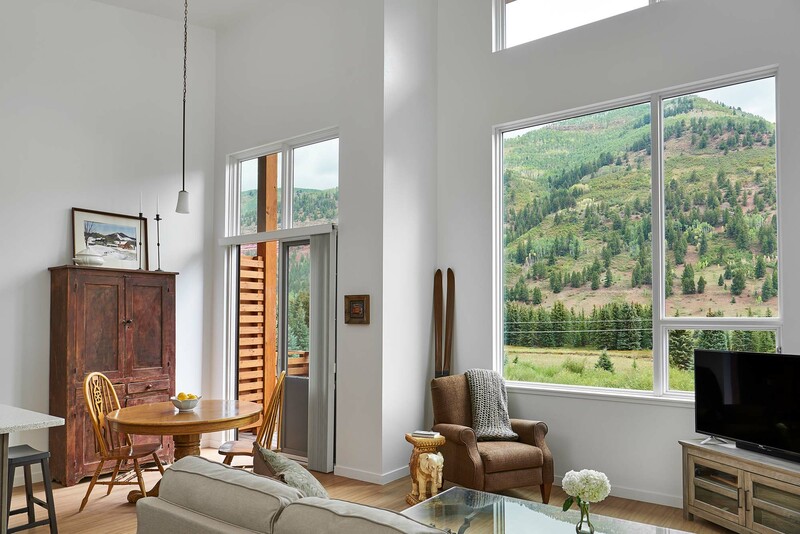 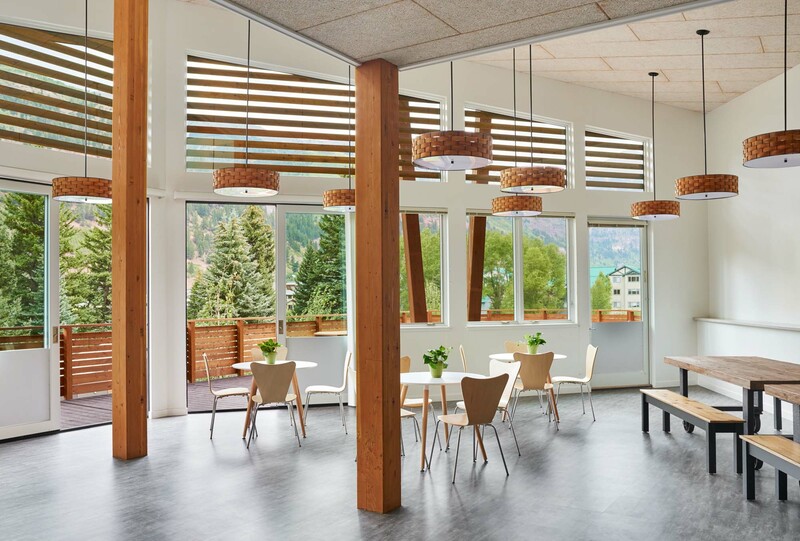 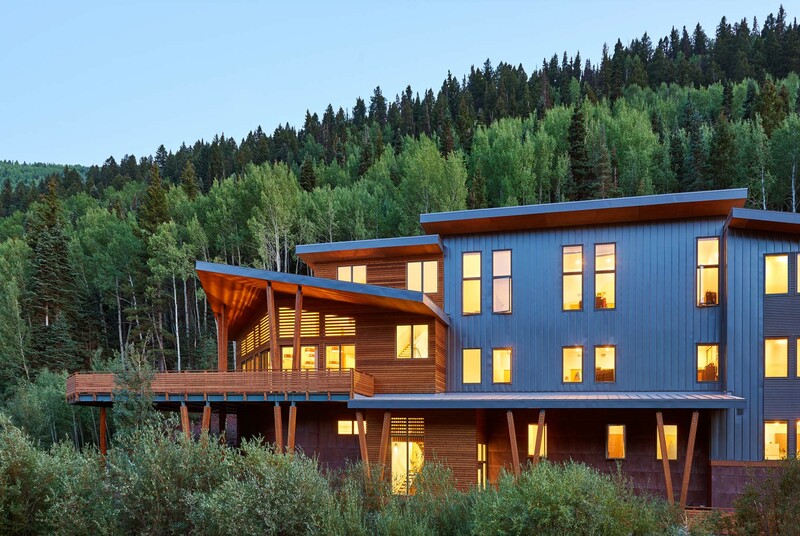 A balance was struck between affordability and sustainability with passive solar and ventilation, maintenance-free materials, and design in this new neighborhood a short walk from downtown Telluride.